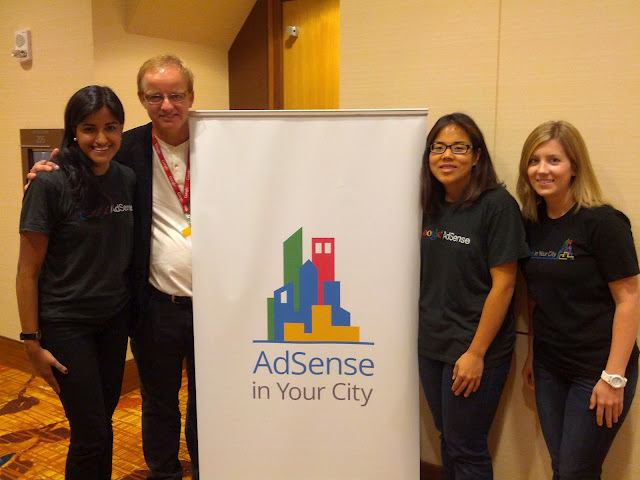 At AdSense in Your City events, we focus on identifying new revenue opportunities and best practices for growing with AdSense. Each session includes presentations on optimization tips, using DoubleClick for Publishers Small Business, and going mobile. Publishers who attend also receive a one-on-one site review with a member of the AdSense team, who offers customized recommendations. We frequently hear from AdSense in Your City attendees that one of the best parts of the event is getting the opportunity to interact with and learn from other local AdSense publishers. Space is limited, so sign up quickly if you’d like to attend! to help publishers get started with DFP Small Business and to create mobile websites using DudaMobile’s free mobile site builder. If you missed either Hangout, don’t worry -- we've included short recaps below, and you can watch the recordings at any time from our YouTube channel. If you’re thinking about using an ad server, just getting started using DFP or would like to learn some best practices you may have missed, then be sure to check out the video from our DFP Hangout. In the video, DFP specialist Rishan first explains how an ad server works and the benefits it can provide to growing publishers. He then discusses orders, line items and your ad units, and the ideal way to set up each. Before closing, Rishan talks about the different ways to traffic direct ads versus other ad networks and enable dynamic allocation for non-guaranteed inventory. In our mobile Hangout, specialists from Google and our partner DudaMobile, work with Dan from ScienceDaily.com to build a mobile version of his website. You’ll learn about available resources and important questions to ask yourself when starting to ‘go mobile’ with your site and how to create mobile ads to monetize mobile traffic. We hope you’ll join us for our future Hangouts -- be sure to stay connected with us by adding Google AdSense to your circles on Google+. This past month we hosted two Hangouts on Air to help publishers get started with DFP Small Business and to create mobile websites using DudaMobile’s free mobile site builder. If you missed either Hangout, don’t worry -- we've included short recaps below, and you can watch the recordings at any time from our YouTube channel. When Docstoc was launched in 2007 as an online destination to help small businesses grow, advertising was the only source of revenue. As the company grew, the business model evolved to include premium subscriptions. We recently spoke with Jason Nazar, CEO of Docstoc, on the impact of advertising on their e-commerce business. Jason says that as subscriptions grew, there was significant internal debate at Docstoc on whether ads were distracting users and limiting subscriptions. A strong believer of testing and making data-driven decisions, Jason removed all ads across the site for a single day to see if this created uplift in subscriptions. With more than 600,000 daily visitors, the results of the experiment were definitive: removing ads did not have a noticeable impact on subscription conversions. In fact, user engagement metrics like time on site and page views per user didn’t improve either, debunking the myth that ads were alienating users. Jason concluded that there could be a harmonious balance between running an e-commerce business and having ads on the site because a site’s audience isn’t homogeneous. In Docstoc’s case, while some people are looking for the high quality content behind the pay wall, others want quick information. When Docstoc is unable to provide information to users in the second group, contextually relevant advertising helps answer their questions – thus, Docstoc is able to earn revenue from users who are unlikely to convert to paying subscribers. Users invested in the service and the content sign up for the subscription service even with the AdSense ads. “From an overall revenue standpoint, we’re clearly much better for having both advertising and e-commerce on the site,” he says. Read the full case study on the ‘Success Stories’ section of our Help Center. Have you had similar results on your website? Share your story with us on the Google AdSense +page. This blog post is part of “PubTalk”, a series of conversations with publishers. , a step-by-step guide for getting started with DFP Small Business. DFP Academy explains how to organize the ad space available on your site, input the information about your advertisers into DFP Small Business, traffic ads from ad networks and direct advertisers, and leverage AdSense to maximize your overall revenue. 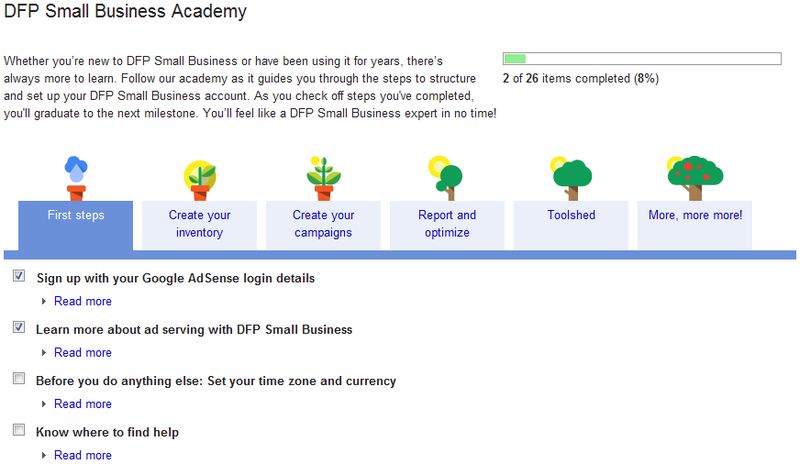 If you already have an active AdSense account, you can quickly sign up for your DFP Small Business account today. Your DFP Small Business account will be linked to your AdSense account, so be sure to use the same login information as you for do for AdSense. As we continue to improve DFP Academy, we’d love to hear your feedback in the DFP Forum. As your online advertising business continues to grow, you may have started working with other ad networks or doing deals directly with advertisers. DoubleClick for Publishers (DFP) Small Business is a free, Google-hosted solution to help streamline how ads are served on your site when you’re working with AdSense alongside other ad partners. With DFP Small Business, you have a vast array of features that give you more control over when, where, and how your ads serve. Today we’re announcing the launch of DFP Academy, a step-by-step guide for getting started with DFP Small Business. DFP Academy explains how to organize the ad space available on your site, input the information about your advertisers into DFP Small Business, traffic ads from ad networks and direct advertisers, and leverage AdSense to maximize your overall revenue. As we wrap up the Mobile Monday series, we’d like to leave you with one final tip on improving search engine optimization (SEO) for your mobile site. Although mobile may be a new space for you as a publisher, SEO for your mobile site should be as easy as creating your mobile site through the DudaMobile tool. That’s why we’ve consolidated resources from our Webmaster team to address common concerns around indexing content from your mobile site. Read Google’s recommendations on building smartphone-optimized websites. Watch this video to demystify the myth of mobile sites resulting in duplicate content. Read this blog post for steps on how you can help Google index your mobile site. Is your site ready for mobile users? Mobile site or mobile app, what’s right for your business right now? Also, don’t forget to check out the GoMo for Publishers webinar that will walk you through specific best practices on going mobile. publishers from June 22nd to June 25th. When you post an exclusive promotion on your site, you’ll earn a performance fee when your users click through and make a purchase. Apply for Google Affiliate Network with your AdSense publisher ID (or sign in if you're already a Google Affiliate Network publisher). Once approved, review the promotions available and click the "Apply Now" link for each one that you wish to promote. These promotions will also be available in your Google Affiliate Network account from June 22nd to June 25th. You can find them in the Home tab or by searching for “June Exclusive” in the Links tab. When can I post these promotions on my site? All promotions will be available by 12 am Central Time on June 22nd, and all will expire at 11:59 am Central Time on June 25th. Note that you may not post any of these exclusive promotions until June 22nd. For additional questions, check out the Help Center or contact us. Earn more from your website this summer! Over 50 promotions from U.S. advertisers will be available exclusively to Google Affiliate Network publishers from June 22nd to June 25th. When you post an exclusive promotion on your site, you’ll earn a performance fee when your users click through and make a purchase. 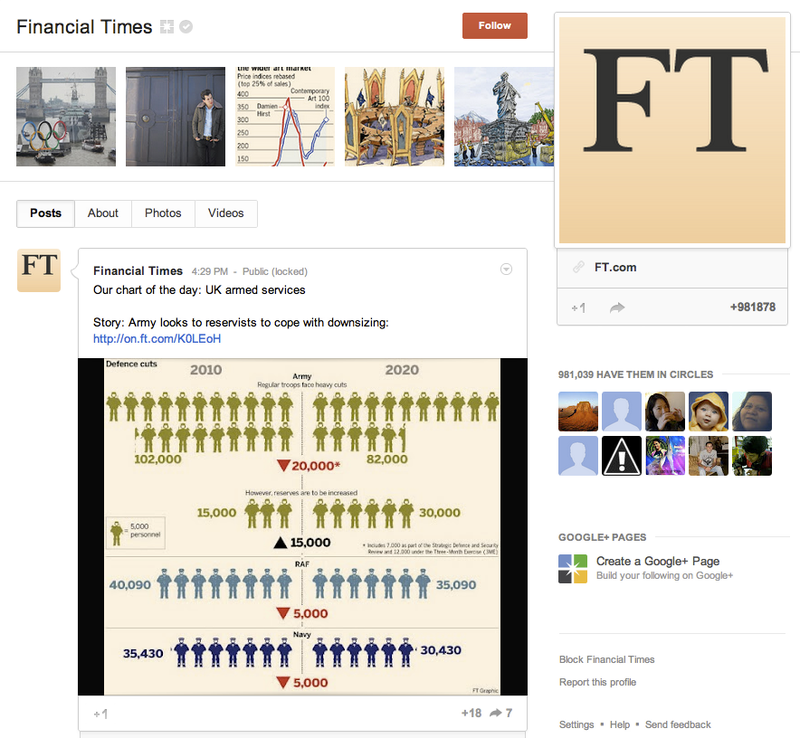 In developing its Google+ page, the FT opted to emphasize captivating content and exclusive reporting. 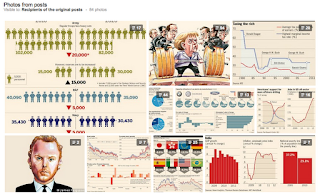 As early adopters quickly took to Google+, it might have been easy to just push tech and digital content on the platform, but the FT has gone far beyond this narrow remit, sharing a wide variety of content including a rich stream from correspondents around the world. With its combination of rich, unique content and a personalized approach, the FT has reached a significant milestone, recently achieving over 1 million followers -- making their Google+ audience one of the largest and fastest-growing among all newspapers. Want to emulate their success? Read the full case study. 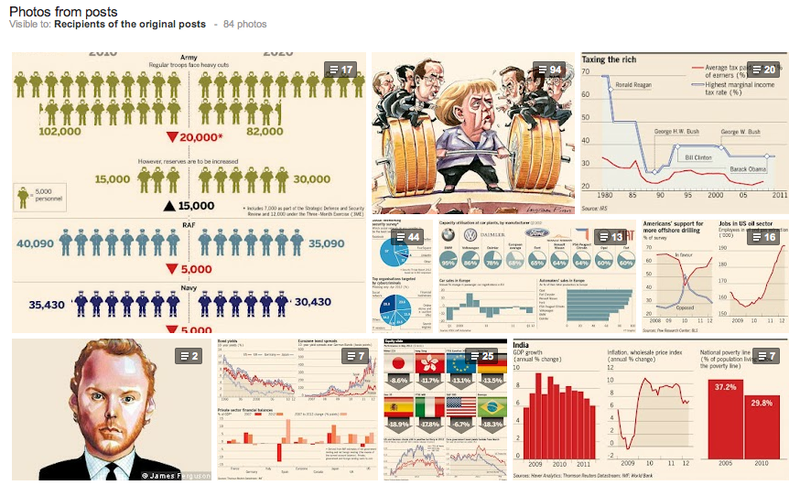 When you think of The Financial Times, you might envisage bankers in bowler hats and pinstripes clutching furled umbrellas and a sheaf of pink newsprint. But that’s a pretty dated version of the FT, which is in fact a leading business news and information organization with a hefty digital presence. The average daily print and online readership is 2.2 million, while FT.com has more than 4.5 million registered users. Last year in the U.S., we launched the AdChoices Icon on the Google Display Network. AdChoices is an industry standard "i" icon that expands to “AdChoices” when users move their cursor over the icon. Giving users clear notice about the ads they see is a high priority for Google and for many in the online advertising industry at large. Users who click this label are taken to a page where they can learn more about online advertising and the ads they see. We’re now rolling out the AdChoices feature across Europe, supporting industry-wide efforts to provide more information to consumers. We'll soon start to change our “Ads By Google” in-ads notice icon to a new icon that expands to an "AdChoices" label. These notifications were developed by the Interactive Advertising Bureau (IAB Europe)-led Self-Regulatory Program for Online Behavioral Advertising to proactively give users notice and choice about the ads they see. With the adoption of a common icon users will see on ads across the web, we hope to show our support for the industry-wide initiative and to increase users' understanding about their choices. Over the next few weeks, we'll start showing the new icon and label on most ad formats across the majority of European-language sites. Over time, we’ll expand the notice to ensure that all European-language publisher sites in the Google Display Network come within the Self-Regulatory Framework. This will be the single largest rollout of the "AdChoices" label to date, and we're encouraged that others in the industry are also adopting the label. Users who click on the "AdChoices" label will be taken to a page where they can learn more about online advertising and the ads they are shown. This page will also link to the Ads Preferences Manager, where users can control the types of interest-based ads they see on the Google Display Network. Our tests of this new icon and label showed that they should not have any effect on ad performance. We think this rollout will help users better understand the ads they're seeing, and we look forward to seeing widespread adoption of this label throughout the industry. If you have a website in Slovenian or Estonian, you'll now be able to earn money through the AdSense program. To get started, review the basics of AdSense and our policies, then sign up for a free account. Already an active AdSense publisher? Simply place the AdSense ad code on your sites in Slovenian or Estonian to start showing targeted ads. If your application for AdSense with a Slovenian or Estonian website was previously disapproved for being in an unsupported language, you’re welcome to resubmit it by logging in with the original login details you provided. For now, you’ll be able to access the interface and help resources in English, as we heard from your feedback that you’d prefer to begin using the program in the meantime. Rest assured that we’re working to provide help content in these languages in the near future. We look forward to welcoming our Slovenian and Estonian publishers to the AdSense program! we announced that Neal Mohan, Google's VP of Display Advertising, will sit down with industry leaders to explore the explosive growth in ad technology and the next wave of innovation in ad tech. Tune in to the DoubleClick Insights event on June 5th via the live stream to hear leaders from top publishers, advertisers and agencies. Adapting to the Empowered Consumer - Neal Mohan, Vice President, Display Advertising at Google will be joined by David Kenny, Chairman & CEO, The Weather Channel Companies, and James Pitaro, Co-President, Disney Interactive Media Group, to discuss how technology is being used to deliver new content and advertising experiences to consumers. The live stream will start on June 5, 2012, at 9:00 am PDT, and you’ll be able to watch it from your computer, tablet, or mobile device. To learn more about our highlighted speakers go to the Speakers page on our site. Following us on Google+ or Twitter? Use #dclkinsights as you're watching the event to ask questions or share comments during the event. Last week we announced that Neal Mohan, Google's VP of Display Advertising, will sit down with industry leaders to explore the explosive growth in ad technology and the next wave of innovation in ad tech. Tune in to the DoubleClick Insights event on June 5th via the live stream to hear leaders from top publishers, advertisers and agencies.